“Some are born into sweet delight, some are born to endless nights.”- William Blake. This poem line isn’t directly related to vampires but it does seem to fit doesn’t it. 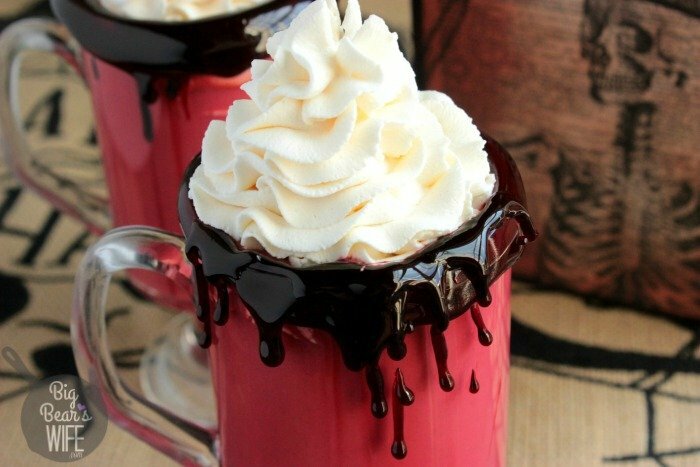 It does sound like it’s perfect for this Vampire Hot Chocolate too! There is never a thing as “too much hot chocolate”, right? 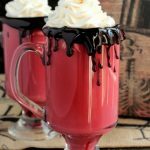 I’m sharing this Vampire Hot Chocolate with y’all today and I bet you’d love the Melting Witch Hot Chocolate recipe on the blog too! I mean it really hurt me to even write those words together in a sentence! Once the air outside starts to cool down a tad and the nights become a little chilly, it’s time for all the hot chocolate, right?! But who am I kidding, I started drinking hot chocolate back at the end of August. What does the weather look like for y’all around Halloween? Our Halloween weather can be kind of funny. 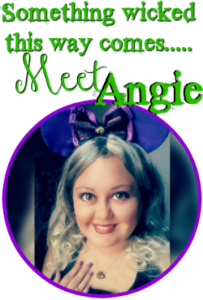 To be honest, I’m just tickled to death when it’s nice and cool outside when Halloween gets here! I remember a few Halloweens that required a light sweater when I was in high school but most of our Halloween nights were warm (and sometimes humid). Thankfully, my husband keeps the apartment temperature at a frigid Antarctica degree temperature so I’m able to pretend like it’s fall/winter all year long! 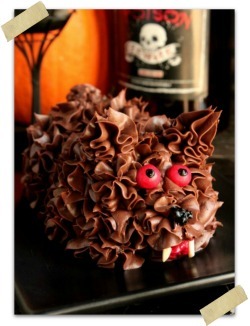 That’s why this Halloween Vampire Hot Chocolate is happening! It might be warm or comfortable outside but it’s freezing in here, so I’m warming up with hot chocolate, and lots of it. 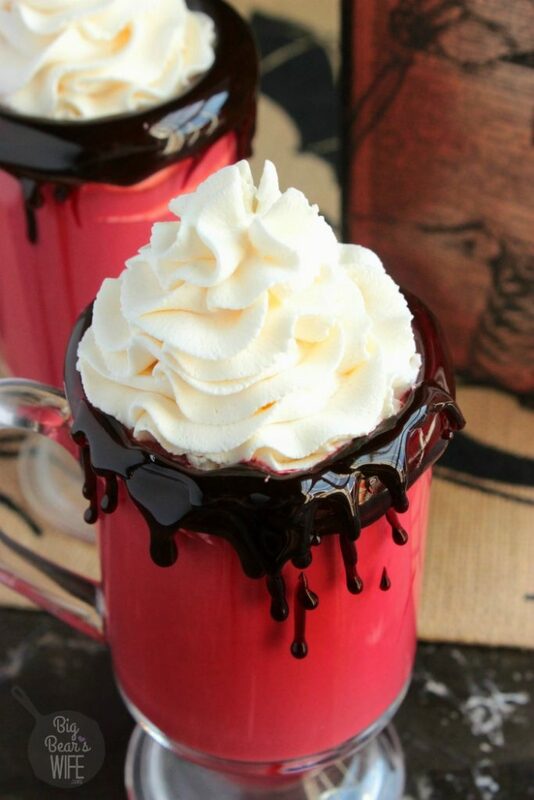 So I went with Vampire name when I was naming this hot chocolate recipe but I suppose that you could also call it “Bloody Hot Chocolate” if you’re not into Vampires. But to be honest, I think it kind of makes me sound like I’m trying to fake a British accent haha. 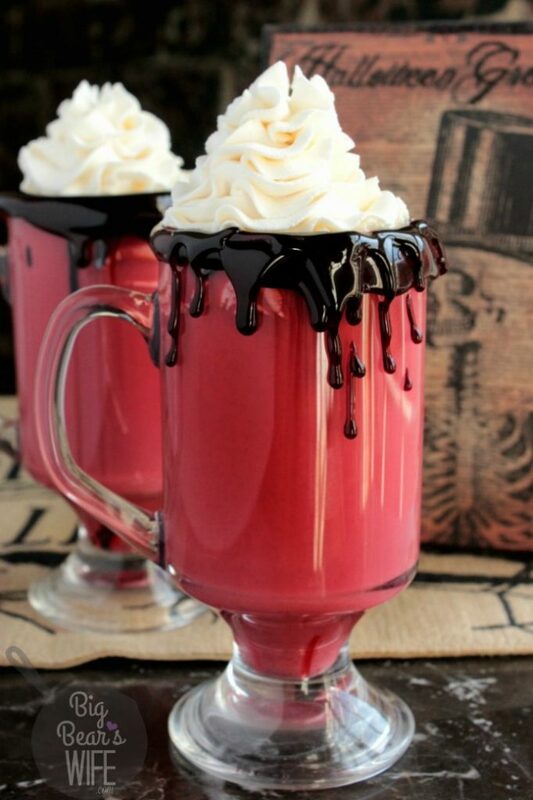 I think the dripping red sugar* blood on the glass of this Halloween drink kind of makes it seem more “Vampire” like. haha. In the bowl of a mixer add 1 cup heavy cream, vanilla and the Dixie Crystals Extra Fine Granulated Sugar. Add the whole milk, heavy cream, vanilla, chopped white chocolate and mini chocolate chips to a medium saucepan. Heat over medium-low heat, stirring occasionally. Heat until the chocolate is melted and the hot chocolate starts to simmer. No not let it burn or boil! Stir in a drop or two of red food coloring. 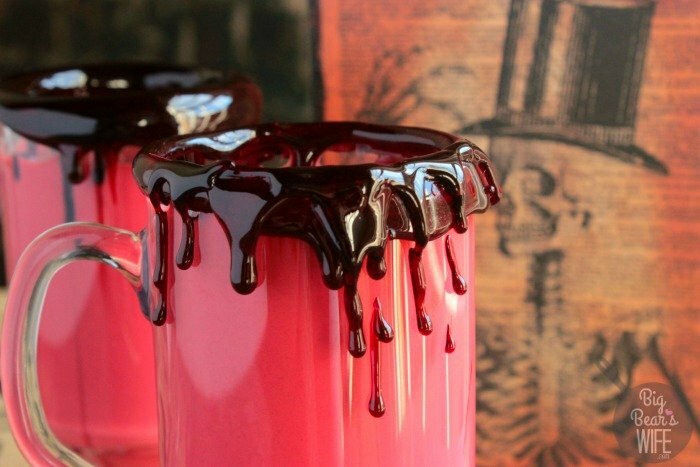 Pour hot chocolate into prepared mugs. Top with whipped cream. Combine water and light corn syrup into a small sauce pan. Pour in Dixie Crystals Extra Fine Granulated Sugar and stir. Once it reached 300F add the food coloring and stir. Let it cool for just a second and then dip the rim of clean glasses into the sugar mixture. 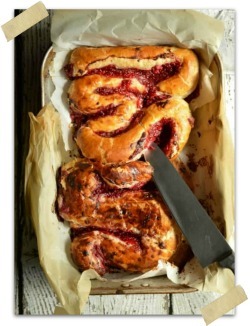 Dip to coat and then immediately sit it upright so the sugar blood will drip as it hardens. 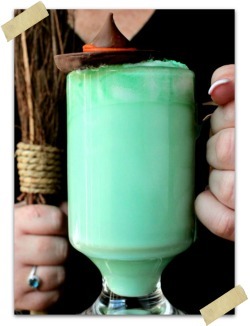 Every Halloween beverage needs sugar blood! 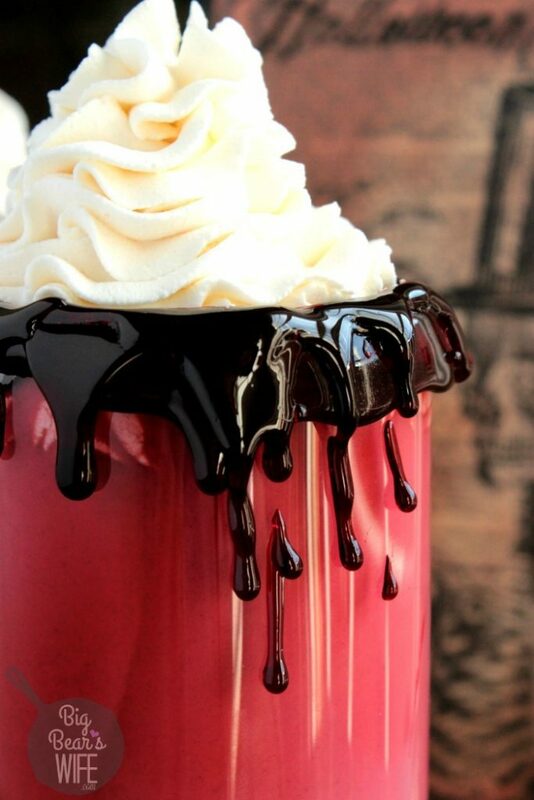 Love this delicious, yet creepy hot chocolate! Thank you! 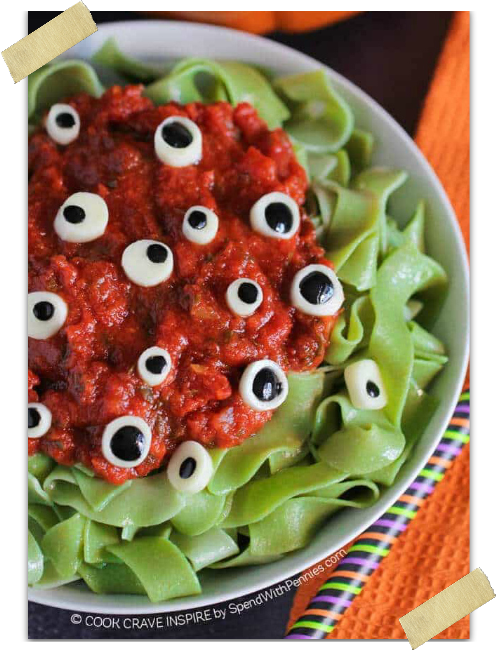 It’s super tasty and perfect for Halloween! It would go great with your Spider Chocolate Chip Cookies!